There are many ways of describing the grammar of a language. 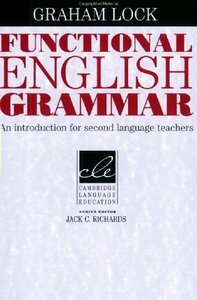 One approach sees grammar as a set of rules which specify all the possible grammatical structures of the language. In this approach, a clear distinction is usually made between grammatical (sometimes called well-formed) sentences and ungrammatical sentences. The primary concern is with the forms of grammatical structures and their relationship to one another, rather than with their meanings or their uses in different contexts. A grammarian interested in this kind of description will often use for analysis sentences that have been made up to illustrate different grammatical rules rather than sentences drawn from real world sources. Another approach sees language first and foremost as a system of communication and analyzes grammar to discover how it is organized to allow speakers and writers to make and exchange meanings. Rather than insisting on a clear distinction between grammatical and ungrammatical forms, the focus is usually on the appropriateness of a form for a particular communicative purpose in a particular context. The primary concern is with the functions of structures and their constituents and with their meanings in context. A grammarian interested in this kind of description is likely to use data from authentic texts (the term text is used here for both spoken and written language) in specific contexts. The former approach to grammatical analysis is often called formal, while the latter approach is normally called functional. The two approaches are not, of course, mutually exclusive. Formal analyses must at some stage take account of meaning and function, and functional analyses must at some stage take account of form. However, most descriptions of grammar can be located primarily within one or the other of these two approaches. (1) I had also been rejected by the law faculty. (1) a. The law faculty had also rejected me. For example, rules can be set out to show how sentence 1 may be derived from sentence la. These would specify (1) the movement of the constituent the law faculty to a position at the end of the sentence following the preposition by; (2) the movement of the constituent me to the front of the sentence and its change in form to /; and (3) the change from had . . . rejected (an active form of the verb) to had . . . been rejected (a passive form of the verb). A functional grammarian would also take note of such formal differences between the active and passive structures. However, he or she would be more concerned with questions such as (1) how the communicative effect of the message in the sentence is different when it begins with / rather than with the law faculty, (2) what the effect is of putting the law faculty at the end of the sentence, and (3) what features of the context may have led the writer to select passive rather than active voice. These kinds of questions would lead the linguist to consider the role of the voice system in organizing information within sentences and texts, and in contributing to coherent communication … . Since the development of communicative language teaching (CLT) in the mid-1970s, grammar teaching has tended to be associated with a more or less discredited approach to … language teaching (often labeled the structural approach), in which syllabuses consisted of a progression of discrete grammatical items to be mastered one after another and methodology consisted largely of the presentation of rules and example sentences followed by extensive drilling of the grammatical patterns. … Such an approach did not, it has been argued, enable learners to use the language to communicate appropriately in real contexts. There is, of course, always a tendency for a new school to exaggerate the evils of the old school, and some of the criticisms of previous approaches ignored the extent to which many pre-CLT teachers (and some textbooks) did give learners opportunities to use in authentic contexts the structures they had learned. Nevertheless, much of the criticism is valid. The rules of grammar found in many textbooks of the period (and it must be admitted in some currently used textbooks) were often at best half-truths and did little to help learners see how the structures could be used meaningfully in context. This is hardly surprising. Language is an elusive, subtle thing, and … any rule one may try to articulate about grammatical items and structures and about how and when they are used is likely to be far too complex to be of direct use to most learners. It is also fair to say that some of the rules of grammar found in textbooks are based on tradition rather than analysis of authentic samples of modern English. It is also true that the practice exercises in many textbooks of the 1950s, 1960s, and even 1970s typically involved manipulation of sentence-level structures, with little or no context. In some cases, the exercises could be successfully completed without the learners even understanding the meanings of the forms they were manipulating.